Tyler Butterfield registered an impressive podium finish at the IRONMAN France race in Nice this morning. The Bermudian Olympian added another quality display to an already-memorable season as he builds up to the Commonwealth Games and the Kona World Ironman Championships later this year. 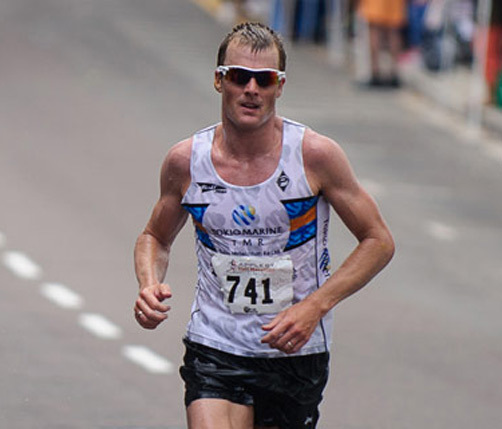 In Nice, Butterfield tackled his preferred full-distance Ironman discipline, coming out of the water in fifth spot in the men’s race having completing the 3.8km course in 51 minutes 53 seconds. He gained a place during the 180km bike section — traditionally his strength — and clocked 4:54:10, averaging 36.7 km/h. Butterfield then continued his gradual ascent to the podium during the 42.2km run, which he completed in 2:49:39 to cross the overall finish line in 8:40:56. He was 7:34 behind men’s winner Bart Aernouts, from Belgium, and just over three and a half minutes behind runner-up, Spain’s Victor Del Corral Morales.